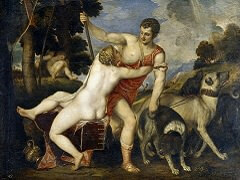 Giorgione's influence now diminishes and Titian develops light effects to heighten pictorial narrative. 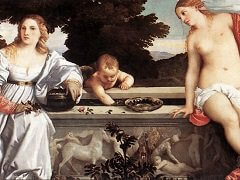 Marrying his housekeeper Cecilia di Perarola in 1525 they have two sons Pomponio (1524) and Orazio (1525). 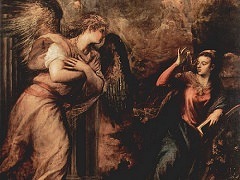 Cecilia fell ill in 1525 and died (1530) after giving birth to Lavinia and a non-surviving daughter. 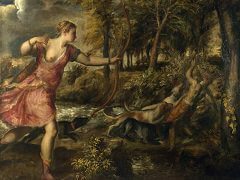 This had a profound affect on Titian. 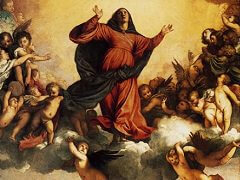 During this period Titian became increasingly involved with the courts of Ferrara and Mantua. Portraits now developed a more expansive and overt style. Marked by a quiet pictorial subtlety and colouristic refinement the 1530s portraits are compelling images of idealised masculinity and femininity. 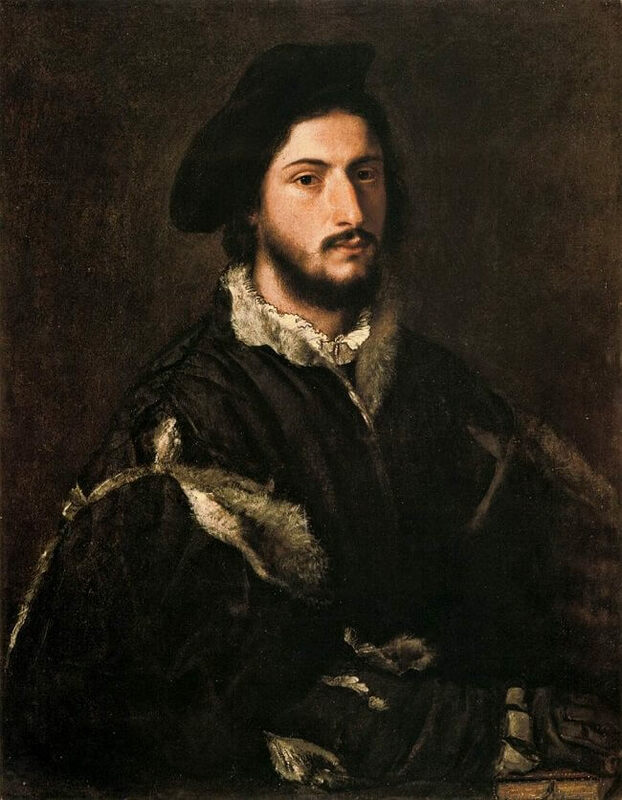 Titian's mastery of colour appears in his Portrait of Vincenzo Mosti, a Ferrarese nobleman, painted in neutral tones, whites, greys. 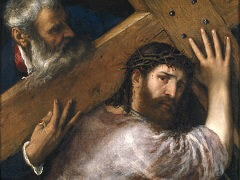 Titian, in straightforward portraits employed dark all-over tonality with key forms emphasised by light.